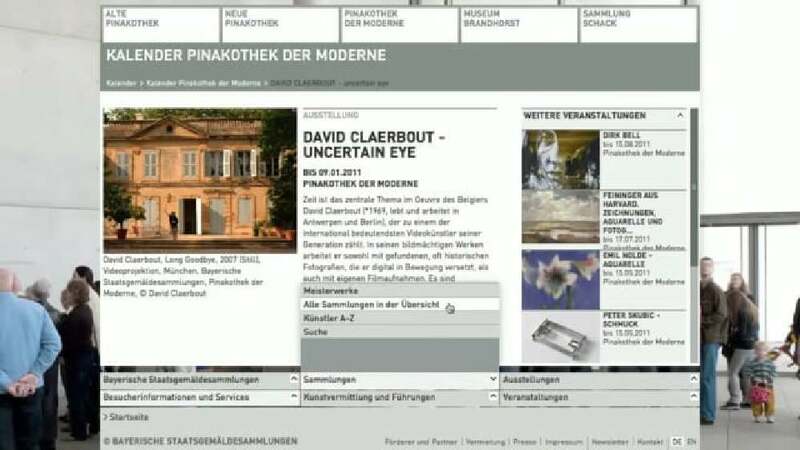 The goal of the joint Internet presence of the five museums of the Bayerische Staatsgemäldesammlungen (including the three Pinakothek museums) is to make cultural events accessible, pro­vide user-friendly navigation and spark the viewer’s interest in museums. From the homepage, the user can access the clearly structured individual websites, which focus on the artworks. The viewers can look at the masterpieces and gather information on the artwork and the artists. A calendar with a search and a filter function enables them to compile their own agenda from more than 100 events.